Homes for Heroes was started following the tragic events of 9/11 and created as our way to say thank you to the men and women that make our country and our communities a better place to live. To qualify for Homes for Heroes you must be military (active, veteran, or reserves), law enforcement, firefighter, teacher or healthcare worker. That’s it! There are no other stipulations or qualifications you need to meet for you to be accepted into the program.You will receive a rebate for 25% of the gross commission after closing when you buy and/or sell your home with Forefront Real Estate, LLC. Have you heard about the "No Money Down" loans with the USDA Rural Development Program? First of all, let us thank you personally for your service. Your courage and sacrifice for our country is inspiring and there are simply no words to thank you enough. 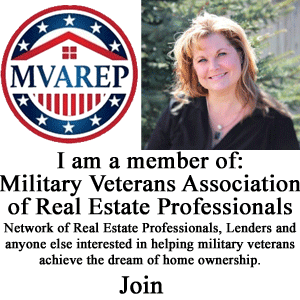 The VA offers several terrific programs to assist you with home ownership. Talk to us today and let us give back by helping you navigate the process. You can find more information on the VA website, simply click the Department of Veteran Affairs logo above. The first step will be to acquire your (COE) Certificate of Eligibility. Have you heard about WCDA low-interest single family mortgages? Are you a "First Time Homebuyer" or a previous homeowner who is looking for quality and affordable family housing? Maybe you are willing to put "Sweat Equity" into your new home. If any of these describe you then a WCDA home loan may be for you. 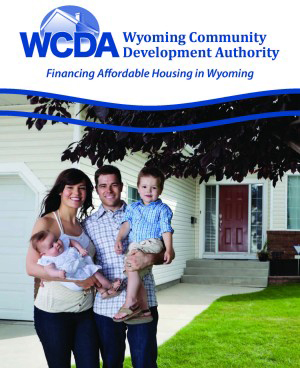 Let us put you on track for home ownership by guiding you through the WCDA program. Home$tretch Loan Program from WCDA! This program won't be available for long and can provide up to $10,000.00 in assistance for down payment and closing costs through a second mortgage with no monthly payment a 0% interest rate and 0.080% APR Click here to learn more. There is limited funding for this program so act now! Call us we can help!! Check out the CFPB website for helpful tools and resources to help navigate the home loan process Click Here.